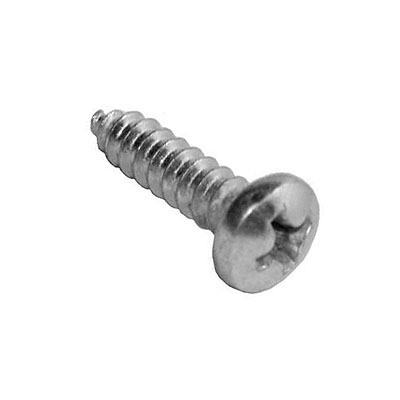 #8 x 5/8-inch sheet-metal thread screw (SMS). Zinc plated. Many uses, including attaching back side of score card holder / apron to playfield support brackets on late-model Bally/Williams games. Replaces Bally/Williams # 4108-01019-10, 4108-01001-10B (originally black), 4108-01001-10, 4108-01004-10, Data East # 232-5101-00, and possible others.